... and I'm not talking about me!! LOL! I'm just making sure Santa doesn't forget me! Nothing much to show on the crafting front - the minion now has all his limbs, but no clothes, and the Christmas cards should be finished this week (I'll post pics next WOYWW). Anyway, I must go up to bed before DH comes looking for me. Catch you later at Julia's for our weekly cuppa and catch up. 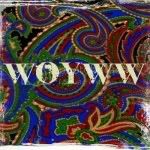 New to WOYWW? Click the button on my side bar to be transported across the globe, looking at some amazing crafting. Love your tree and cushions! I started doing my tree last night, as KL is home for a flying visit ( I've had to put all my crafting away and am now feeling slightly panicy about finishing everything) and wanted to put the tree up. She has now realised that although it's good fun to decorate the house, it's also hard work! Must finish it this morning as we are collecting the ' new' furniture from my Mum's this afternoon. 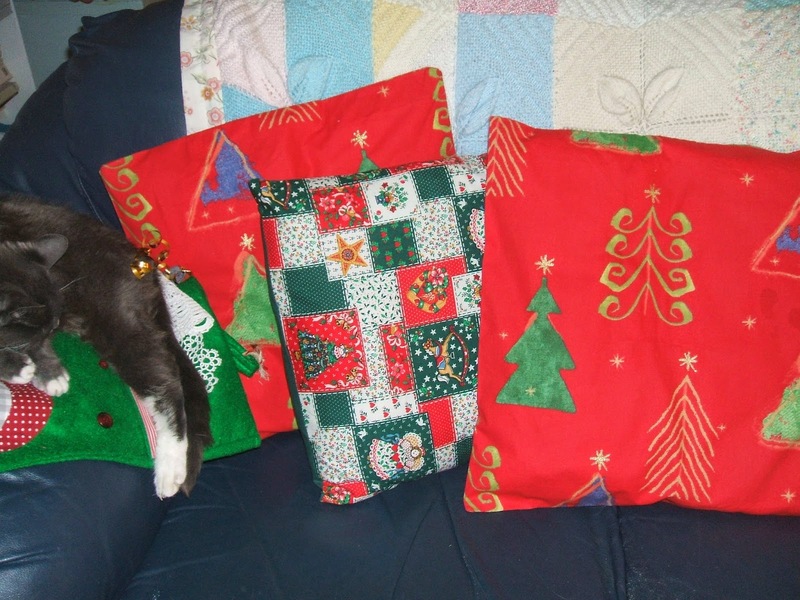 Ah the cushions are a wonderful addition; your tree looks gorgeous. Am a bit vexed by the though of a naked Minion, so am glad that you didn't expose him!! I'm supervising the munchkins playing happily with their Lego so grabbing a few minutes to do a dash round some of my favourite blogs. What a beautiful tree and I love where the kitty sleeps! Thanks for sharing! Love the tree and the decorations. The kitties are very cute! Love your cat scene lol, wonder why they love sitting under the tree? Thanks for dropping by and your comments in my gift voucher. I like the traditional colours of your cushions and tree. Lovely decorations! Thanks for sharing! We only have a tree as decoration, and a couple of stockings hung up in the hope Santa will fill them for us. Thanks for your earlier visit. 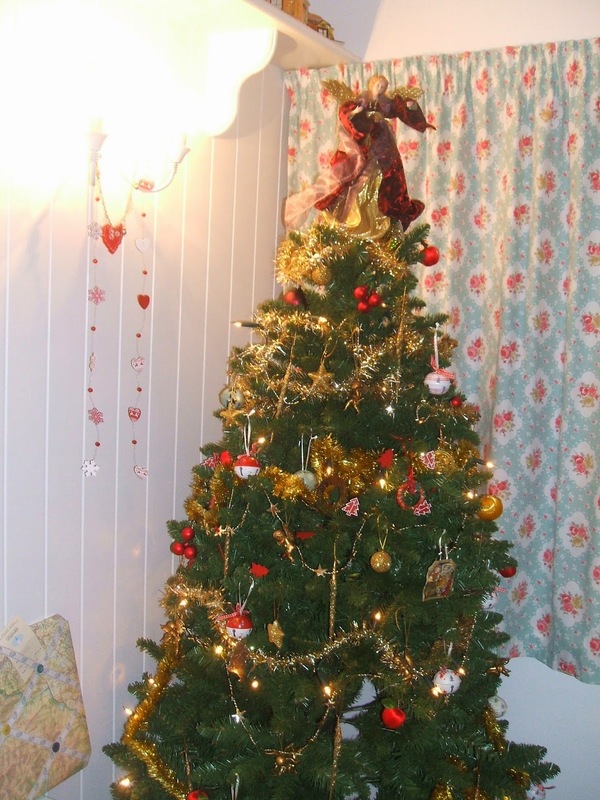 Hi your tree looks fab .... always room for a little festive cheer. Thanks for stopping by my blog and for the comments. Luv your tree. Have to say your kitty looks a lot like one of mine. Thanks for sharing. Hi Chris, thanks for the visit, been out all day today so trying to catch up. The tree looks lovely and Kitty has found a good spot. Your tree is so pretty! We just purchased a 4.5' tree and will get rid of the 7' one as I'm tired of all the decorating by myself. Love the sleeping kitty! Thanks for popping by and Happy WOYWW! It's simply beautiful! I guess you need to get your kitty a stocking of his own. Blessings! Hi Chris, thanks for stopping by. Great kitty pic! And the tree looks lovely too! I guess it was silly to hope there might be a Minion doll here :D Funny thing, DD insisted on watching the movie just last night. I usually start my knockers on 3 stitches per needle (end of a short I-cord) and it does my head in EVERY time. Gorgeous tree and a perfect spot for a snooze! Happy WOYWW ! Thank you for dropping by and leaving me a lovely "blog hug"! I have not heard of that book about the Pope. It must make for interesting reading indeed! 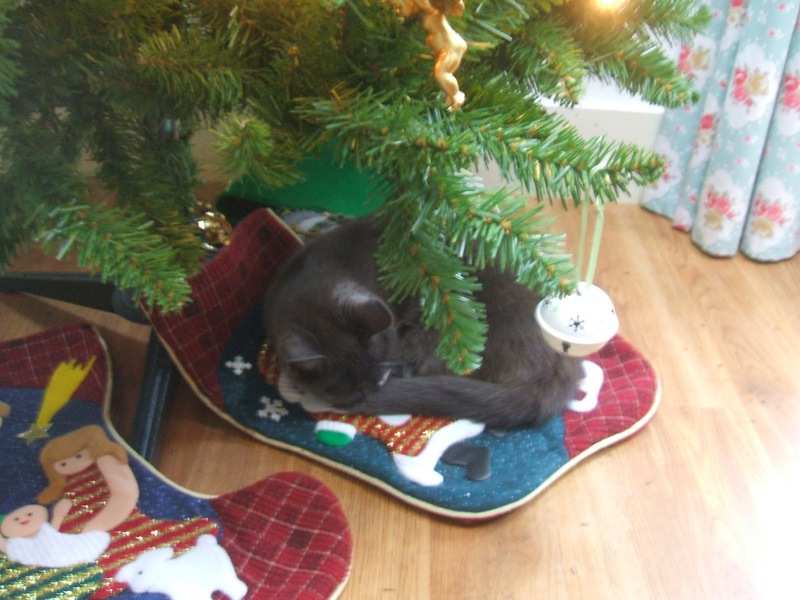 Your tree and pillows look lovely. I must get our tree up this week! Wishing you all the best during this blessed season!